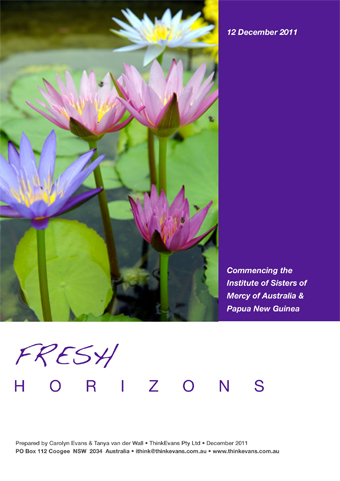 The Institute of Sisters of Mercy of Australia and Papua New Guinea was inaugurated today as the culmination of years of thought and consultation amongst 14 Congregations of Sisters of Mercy in Australian and the Autonomous Region of Papua New Guinea. After working with the Sisters on the consultation and related processes leading up to this point, ThinkEvans Managing Director Carolyn Evans and Principal Consultant Tanya van der Wall also prepared a discussion paper for the Inaugural Chapter of the new Institute. Chapter was held over the last week in Sydney. 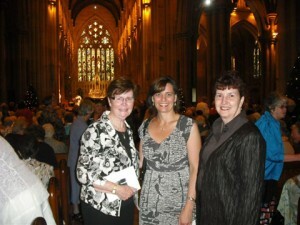 The team today joined the Sisters at a celebration to mark the inauguration – Tanya (centre) and Carolyn (right) are shown here with Leonie Crotty rsm (left) with whom they have worked on these matters for several years.